Home » G2 » Did you know that a team of hobbyists use the G2 to make custom auto parts? Did you know that a team of hobbyists use the G2 to make custom auto parts? A couple of hobbyists in southwest Florida with a 2-axis Bridgeport and MILLPWR G2 use that system to build custom one-off parts for street rods and hotrods. Hobbyist Len Milheim is a master tool-and-die maker from Michigan, and Bill Hutchison is a retired high-tech industry exec. They have teamed up over the last couple of years in Sarasota, FL, to make some really cool custom hot rod parts. Hutchison is currently rebuilding a 1949 Studebaker ¾ ton pickup truck and was unhappy with the 3-speed column shift transmission, but wanted originality. So he found a 1949 Studebaker 4-speed out of a larger truck, and Milheim designed and cut this aluminum adapter to mate it to the original engine block. 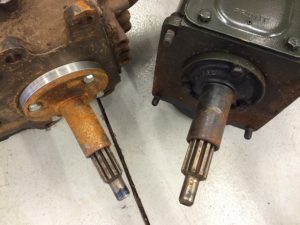 Pictured here is the original 3 speed on the right. The shiny ring on the 4-speed on the left is the collar that adapted the 4-speed input shaft to the clutch and pressure plate. These two units allowed the old 4-speed to bolt right up. 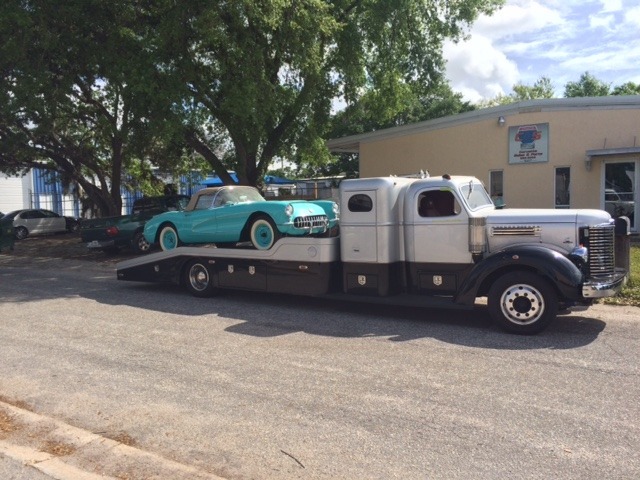 Hutchison has a 1948 International car hauler sitting on a late model Freightliner chassis. A lot of fabrication was required for this combo. 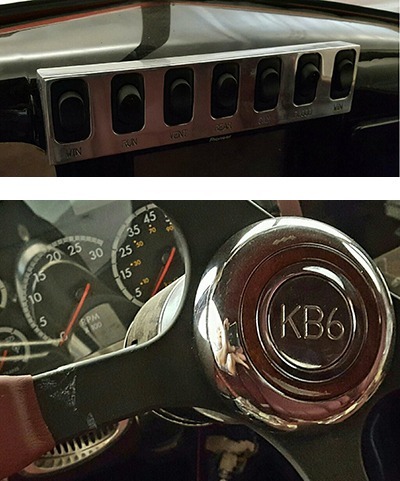 According to Hutchison, this solid aluminum dash bezel was machined from a billet and matches the dash contours and houses all the rocker switches. 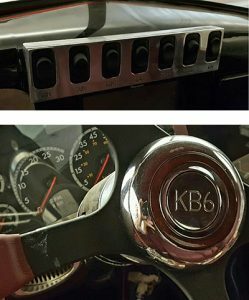 He noted the engraving under each switch, stating that was also done with the G2, as was the engraving on the steering column horn button (picture right) sitting on a custom base to mate the handmade leather covered steering wheel to the steering column. A more ambitious current project under way involves the machining of one-off custom rear axle knuckles to adapt a 1996 Corvette independent rear suspension assembly to a 1955 ½ ton pickup truck. Hutchison says “I have built hot rods for years but I am a blacksmith compared to Len the “jeweler”.